sOMEThING has been working on "something" new. An entirely new line of yo-yos to be more specific! This is the latest in their new IZM line of affordable high performance yo-yos - The ORB! The new Orb follows the previous IZM Versus design of no frills and pure performance. It is a beautifully simple yo-yo that does not sacrifice any performance for price. With its comfortable organic profile and a nice light weight the ORB plays really fast and somewhat floaty. It is incredibly maneuverable in play and the ample rim weight gives it great stability and spin time even through longer combos! 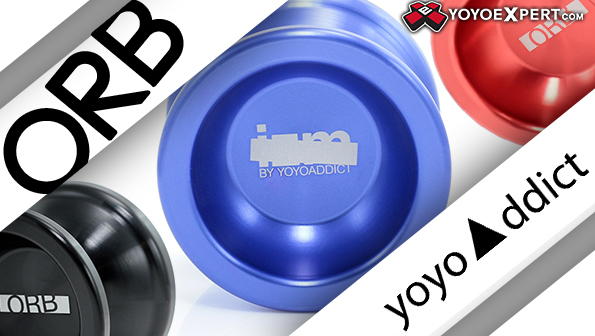 sOMEThING did a great job yet again with their latest IZM yo-yo! The ORB will be a welcome addition to any collection!